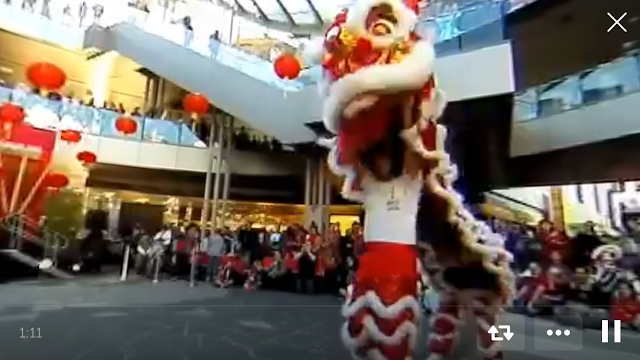 I just finished my first 360 live stream on Twitter and Periscope and it went better than I expected! Here’s how to use Periscope360 (aka Periscope Live 360), and my impressions. Live streaming is one of the major trends this year for the 360 camera industry, with the pieces of the puzzle coming together to enable easy live streaming for the average consumer. Last July, we saw the release of the Insta360 Nano (reviewed here), the first fully spherical 360 camera for consumers that had wireless livestreaming capability. At that time, the only consumer platform for 360 live streaming was YouTube. Hats off to Google for being the first to support 360 live streaming but YouTube wasn’t designed for wireless 360 live streaming. At that time, using YouTube for streaming on the Nano required someone to be at a desktop to start the stream. – At the end of November, Insta360 Air ($119; hands-on and first impressions here) became available for preorder. It’s the most affordable 360 camera with live streaming capability. 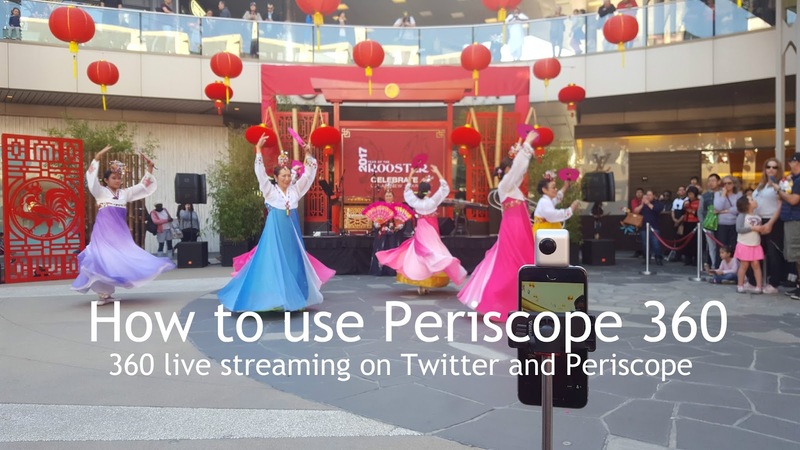 – In December, Facebook and Twitter / Periscope announced that they would be launching 360 live streaming (see Facebook announcement here and Twitter / Periscope announcement here). They will use a much simpler process for streaming compared to traditional live streaming. – Also in December, Giroptic iO preorders were launched ($249). One of its key features is live streaming, and Giroptic was able to simplify the streaming process. – Insta360 will be releasing an update to the Nano app that will enable one-button livestreaming to YouTube. As you can see, within the span of just a couple of months, 360 live streaming became very affordable and very easy for consumers. You can view the video larger here. 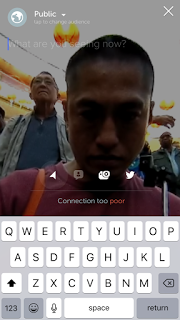 – Here is how to get on the waitlist for the beta version of Periscope 360. – Although the Nano can be used separately from a phone, it needs to be attached to an iPhone for live streaming. – To clarify, Giroptic iO is only for iOS (iPhones and iPads). – When you start the stream on Periscope, it automatically creates a post on Twitter that shows the live stream. – It appears the stream is not recorded to the camera’s Micro SD card. 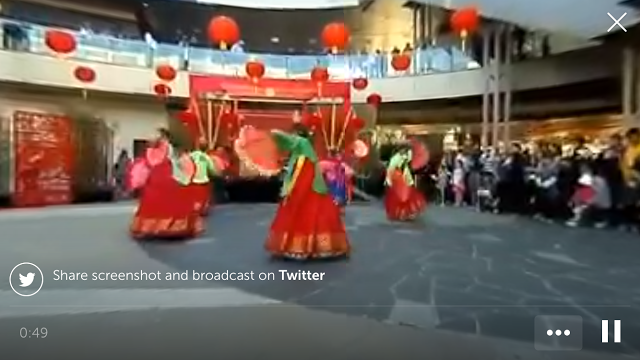 Here is a sample 360 live stream, but please note it looks much better (and loads much faster) on the Periscope or Twitter phone app than on desktop. To see this stream and the other streams on Periscope or Twitter on your phone instead, look for my Twitter and Periscope username, which is @360rumorsblog. Periscope 360 works very well, much better than I expected. It’s incredibly easy to use, even for someone fairly new to live streaming like myself. – When typing the description, I had to rotate the phone with the Nano upside down. I also noticed the app seemed slow when typing the description. – If you choose the option to share the broadcast to Twitter, it will create a post, but the phone will again be rotated with the Nano upside down. It will also slow down the phone tremendously and at one point, it crashed my app. – The stream drains the phone and camera batteries rapidly. I anticipated this and I had with me a Chromebook and an Anker portable USB charger, which I used to charge the Nano and my iPhone during one of the intermissions. The Chromebook in particular was very powerful at charging the Nano and the iPhone (with the cover closed), although it seemed it could charge only one of them at a time. – If the connection is too poor, it won’t allow you to Go Live. As for the image quality, of course it is highly dependent on your connection speed. Surprisingly, even with a pretty slow connection, I was able to get a decent live stream (in my opinion). As connection speeds improve with 5G etc., 360 livestreaming quality will look even better. But connection speed and reliability are the biggest bottlenecks at this time. I think one way to improve the image quality especially with limited connection speed is to use a tripod. I used the Benro MK-10 selfie stick tripod (reviewed here). Thank you to everyone who watched the live stream! I’ll see if I can do another one next time.